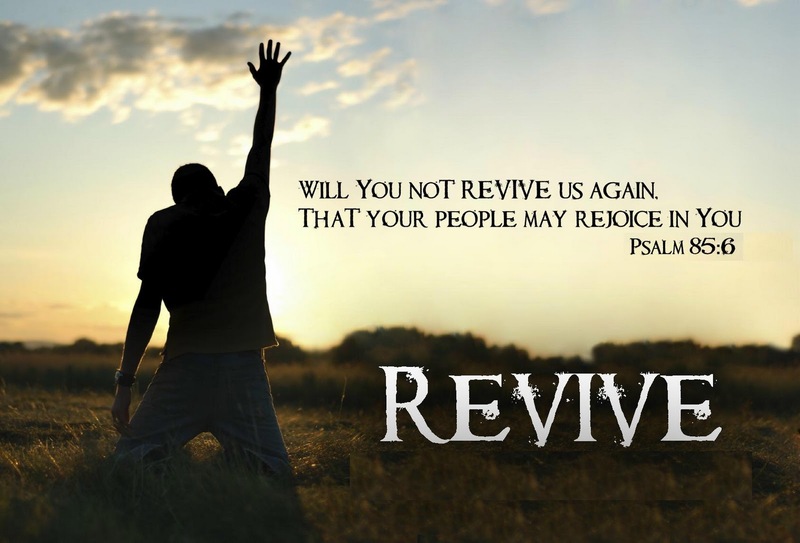 Psalms 85:6 Will you not revive us again, that your people may rejoice in you? The Holy Spirit is there to guide me into doing the right thing. When I don’t do the right things and I sin…He points this out to me. I want Him to because I want to be right with God. I ask God to forgive me in Jesus name and Jesus washes me clean. Because of the Holy Spirit’s work in my heart…I experience revival in my spirit. In fact I have lots of revivals. I don’t always stay this way…but I seek to be right with my God. I have my revivals right in my own home… in my room. My husband has come home from work many times and has seen me so caught up in the spirit. In my prayer times… I ask the Lord to forgive me and I begin to worship Him. You see… the Holy Spirit in me helps me to see my wrongs. After I repent…I feel this freedom and love from the Lord and in my interaction with Him… He manifests Himself in my life and I feel a revival in my spirit. As The Holy Spirit fills me to overflow… I feel the presence of God in a supernatural way. I good-cry a lot during these times…sometimes speak in tongues…sometimes I can say no words and just enjoy their presence…sometimes I receive visions and or messages. My soul is so revived after these times. I always want to have these times in church…but I can’t do this by myself in church. I’ve had a few times when it has happen to me and I just go into the fellowship hall and have a brief timeout and calm myself down and go back into the service. There have been times in my past when the congregation has gotten very close to a group revival. I’ve only had one experience of a revival like I have by myself in a group and that was at a meeting that another woman and I had with the girls in our choir because a few of them had gotten caught up in the Spirit at our church service a few night before. We wanted to explain to them what had happened that night…but our group of girls, me and the other woman got filled up all over again for hours. We were praying, crying, singing, and praising God…some just laid on the floor. It was so incredible!!! It was like being in a womb…feeling safe and secure. Nobody wanted to stop or leave. 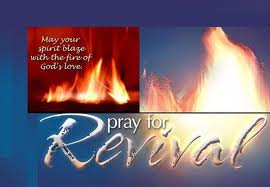 Lets all join together and pray for revival. It starts with ourselves first! Revival is not a scheduled meeting but an unexpected visitation from God resulting from an earnest desire to seek His face and be in His presence. God will ALWAYS show up this way when we earnestly seek Him with a clean heart. 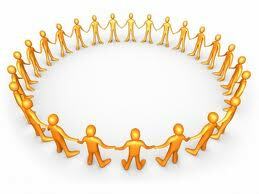 Message for today: Revival starts with you and it can happen to a group of people and spread. Let’s all pray for the Holy Spirit to move in people’s heart, mind and spirit. Let pray for truth…let’s pray for revived lives. Wake up…Wake up and be revived. Can the church say…Amen? What is the meaning of the word revival? It is the renewing, restoring and strengthening of something that was once vibrant, back to a place of importance, power, confidence and vitality. It’s a place of once being high in a certain area of life and then falling to a low point of complacency, going through the motions. Being unproductive and lifeless, to a place of restoration to the point you were at and even higher and beyond. You have to want to be revived and feel that this is necessary to move you to the next level. A spiritual revival is for the children of God. It’s the hearts cry to be rejoicing in the joy and strength of the Lord once again. It’s the desire of one’s yearning heart to meet the Lord in a place of overflow in the Spirit and in the power of God. To live again under God’s powerful anointing. Revival comes out of a place of very sincere prayer for it. A prayer that ask God to clean you and wash you…. A prayer in which God searches your soul that you have laid out before Him in humility…. A prayer of true worship in spirit and truth…. A prayer of love for the master where if the Lord was standing before you…you would wash His feet with your tears. You can pray for the Lord’s revival individually or as a group whose purpose is more of God, but you cannot make God bring on a revival just because you want one. There must be a spiritual purpose of admitting you need to be in a place with God that you once were and most important….you must humble yourself before our all-powerful and almighty God and submit, surrender and commit your total self to His will. You must desire to be Holy because He is holy. I tell you…when the Lord sees the sincerity of your heart…REVIVAL WILL COME! Wait I say on the Lord. Be still, be humble, be prayerful, be watching and waiting for the Holy Spirit to manifest Himself in a special way.You will feel the power that floods your soul and you WILL REJOICE once more in His wonderful presence. 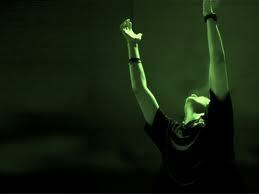 You will feel His Shekinah Glory. You will sing, dance and shout for joy. Rivers of refreshing flowing waters will bubble up inside of you. This anointing will spread to those around you…they will want what you have. You will go out and spread the good news and make new disciples. The Lord will rain righteousness down on you and will shower your soul with exceeding joy. You will have fellowship like you’ve never had before. You will walk with the Lord and He will pour His love on you and it will be great strength for you. When trials and tribulations come, your spirit will be encouraged and you will trust in the Lord like never before. The word of God will be so alive to you and your faith will soar. So….is revival a good thing to desire? Oh yes…oh yes it is. You can start praying for it right this very minute. I’m asking you to revive those who are seeking more of you. Please send your power down on us today and revive our dry spirit man. Lord only you know what is in our heart and only you can bring us to a place of restoration. Please give us a fresh anointing. Revive our sleepy spirit. Wake us up into the renewal of your exceeding joy. Lord I thank you for what you are going to do in our lives. In Jesus name…Amen.